Aranow Packaging Machinery is a packaging company specialising in the design, manufacture and sale of single-dose packing and packaging lines worldwide. 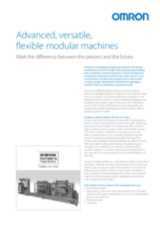 Constant innovation and the development of advanced automation systems mean that Aranow is now a manufacturer of multi-lane stickpack and 4-side-seal flat envelope (single-dose format in flexible film) packaging machines that are well known around the world. 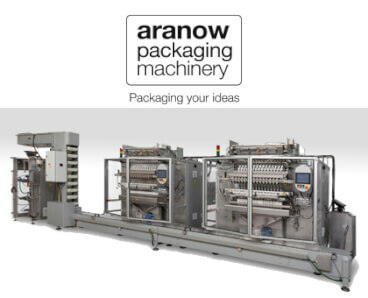 Aranow also offers packaging solutions with flat envelopes, alternative packaging (shaped envelopes and the twinpack, which forms two cavities in the envelope, allowing two products to be packaged in one) as well as secondary packaging (packaging with cardboard cartons, pillow bags, stand-up pouches or flowpacks at the end of the line). All full production lines designed by the company are suitable for packaging any kind of product (liquid, granules, powder or solids).